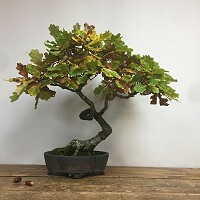 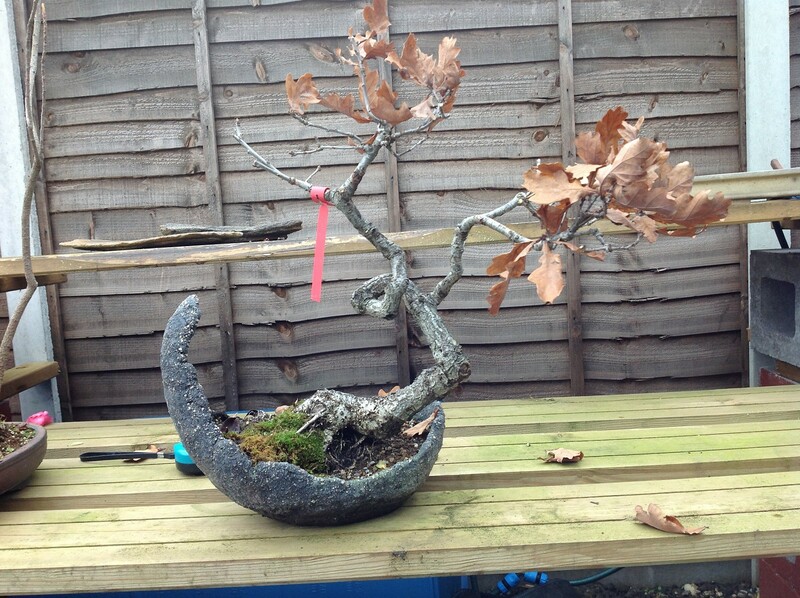 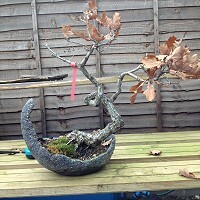 An English Oak bonsai is a rare and wonderful thing to behold, and especially one with natural trunk character such as this. The twist in the middle section is entirely natural and creates such a wonderful sense of unorthodox, yet it is not artificial. When the opportunity came up to purchase this tree, it was taken immediately. Since that time, it has been growing slowly but steadily, with very little intervention. 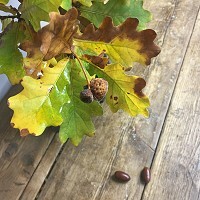 The second picture is from the exhibition “Natural Flux” held in November 2013 and the most recent picture is summer 2018. 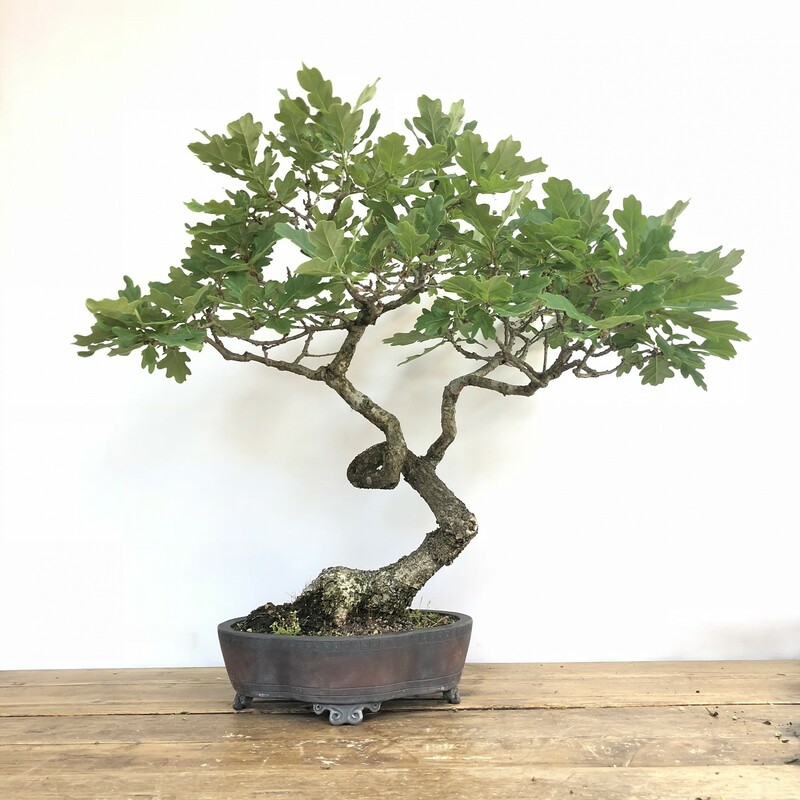 Since it came into our possession, it has yet to be wired, only pruned each year, with keen attention paid to removing strong terminal growth which results in allowing secondary branches to develop. 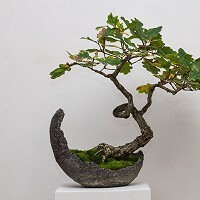 The clip and grow method, with minimal fertilisation and restricting growth is one reason it has developed a deep sense of mochikomi character. 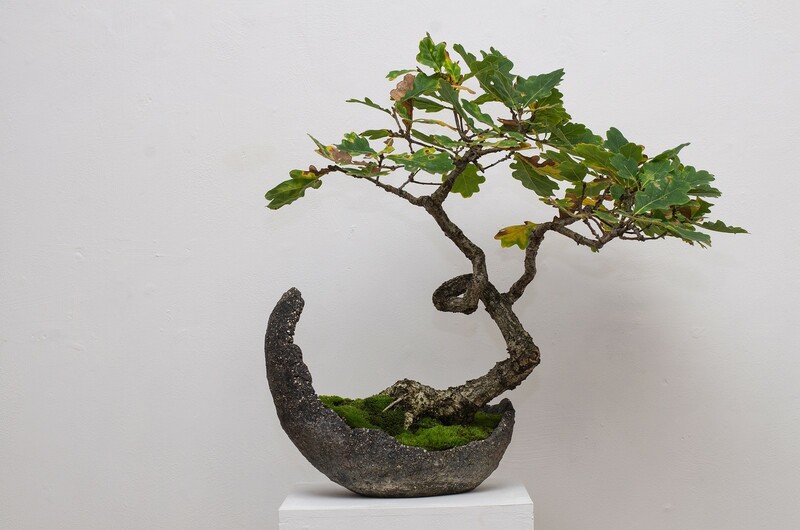 Planted in a superb John Pitt pot, easily the best British bonsai ceramicist, making this an example of native British bonsai at the highest level, which reflects the essence of the Japanese appreciation of the antiquated and ancient.